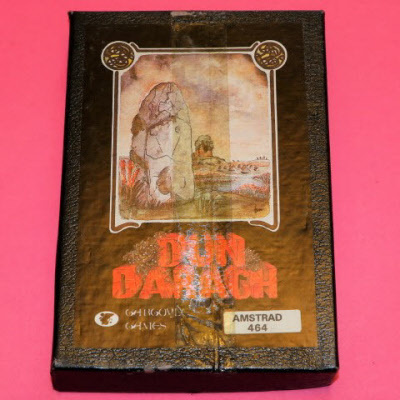 Dun Daragh - Amstrad CPC464 Cassette - big box versione. Box has a strip of sellotape running down the lid which I have left in place for fear of damaging in trying to remove it. Otherwise the box is in fairly good condition.